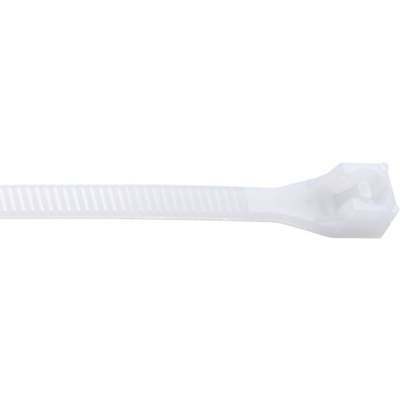 Cable tie featuring patented DoubleLock teeth design. Ensures 50\% greater tensile strength. Serviceable through temperatures of -40 deg (degrees) F (Fahrenheit) to 185 deg F.